Once upon a time, there lived a man who had two conflicting passions. He had a deep, deep yearning to be a good husband and father, but he also had a burning desire to tell stories that made a difference, to be a writer. They were conflicting because they both demanded so much of his attention and his time. The family won this lop-sided battle, and, for many years, he turned to business to provide for his family and pushed writing away into the fog of the future. Because his heart was elsewhere, this man, Brian Morgan, had no ambition to become wealthy or gather material possessions, but, day by day, he gradually became, as he put it, the richest man in the world. His riches, though, were mostly of a different kind. The writer in him saw to that, by giving him an eye for the beauty of life – and this he soaked up until he was forced, he said, to give the riches away again to others in his writings. He did, of course, learn many things in many corners of the business world, and he had some successes that would have been sensational if he had chosen to let the world see them, but he had always shunned the spotlight. For example, he won’t permit details, but as a young man he overcame fear and very daunting odds to force multi-million dollar contributions from an international company to the Australian economy that continue to this day. That company had boasted that it had never paid taxes in Australia through practices that would today be clearly labelled fraud. And he steered political will in a way that resulted in changes to the finance sector of his country, making the savings of millions of ordinary Australians safer. He studied broadly and worked in and consulted in many industries and many sectors of the business community. Along the way, he started businesses for himself and for others. 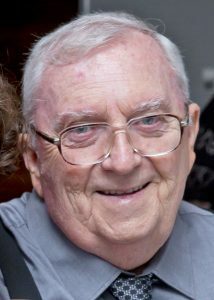 Brian Morgan founded the Australian Institute for Small Business and wrote a course for the self-employed that was studied by many around Australia. He founded Sepco, the Seminar and Exhibition Production Company, which held workshops for business people. He did not speak much of such things in the past because his mind was elsewhere – on the writing he was quietly practising in his head and on paper. And he gradually came to understand that he could combine the knowledge he had accumulated with the moral code he had developed, and he could help others with this recipe of skill and integrity. He wrote How to Make a Second Income at Home, which became a sell-out success. He published the first business magazine circulated through newsagents in Australia and went on to publish two other national business magazines. His business writings have been translated for Vietnamese and Chinese audiences. Brian reached out to many people in his writings and, despite his reticence, his skill with the quill was recognised and prized in many ways. He has won numerous State and national awards in journalism and editing, and went on to win a prestigious Fellowship of Australian Writers’ national literary award for his first novel, plus a number of short story awards. He had also been recognised for service to his country and his community, but, as he puts it, “gongs don’t mean much,” so he doesn’t talk about any of this. To this day, family still comes first, but Brian Morgan has managed to become a best-selling author in the United States and the United Kingdom, and has had his work translated also into Japanese, with long-running success. He attributes his success in many fields to the love and support of his wife, Judy, and says he would never achieve anything without her. They have two children and five grandchildren. After living all their lives in Sydney, Brian and Judy have now moved to the Central Coast of New South Wales. Now, Brian has arranged for this website to be created to help promote his published books. As of this writing, we have published nine of his acclaimed books, with others in the pipeline. Although he always says he could have done better, it can reasonably be said that the twin dreams of being a family man and a writer have been fulfilled.